Shine a light on one of natures most fascinating designs! 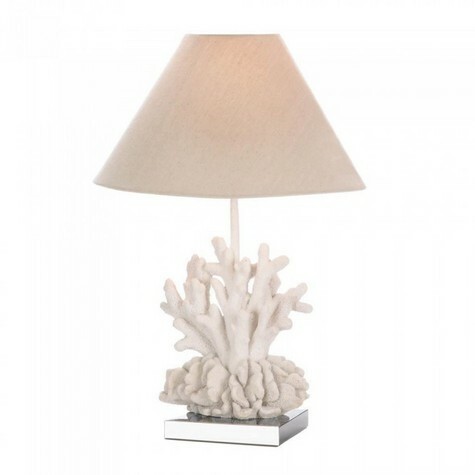 This gorgeous white coral table lamp features a stainless steel square base, neutral shade, and a fantastic coral sculpture that will brighten your room even when the lamp is switched off. Max 40W Type A light bulb not included. Dimensions 13" x 13" x 20.5"